ZAMBIANS from all walks of life yesterday braved the scorching heat to join hands in prayer as the country commemorated the National Day of Prayer and Fasting with a call for each other. 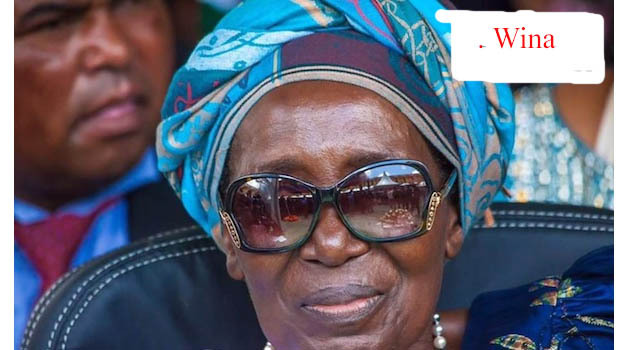 Vice-President Inonge Wina has challenged leaders and the citizenry to promote peace and reconciliation as a way of strengthening national unity in diversity in the country. Ms Wina, joined First Lady Esther Lungu, said this when she led hundreds of people, among to commemorate National Day of Prayer, Fasting, Repentance and Reconciliation at the Lusaka Showgrounds Main Arena in Lusaka yesterday. “All leaders at various levels have a responsibility to promote peace and reconciliation in order to strengthen national unity in diversity. “This is as reflected in our motto, the motto we have continued to cherish as a country, the ‘One Zambia One Nation’,” she said. Ms Wina said Zambians needed to always seek the face of God and call upon His name in all that they did and went through because the peace that the country had continued to enjoy was as a result of God’s love and favour for the nation. National House of Prayer Advisory Board vice-chairperson Pukuta Mwanza, who quoted Psalms 33 v 12 and Proverbs 14 vs 34 said nations that acknowledged and exalted God were great and were guaranteed of God’s favour for the long-term. Reverend Mwanza said also that the National Day of Prayer should be depoliticised so that it should not be trivialized by partisan political perspectives. In Kitwe JANE MWANSA and MUSONDA MANGILASHI report that National Guidance and Religious Affairs Minister Godfridah Sumaili said love is a biblical cornerstone. “This day is an event to pray for the peace and show pure love to another because Zambian people were one,” Rev Sumaili said. Anglican Church Archbishop for Zambia, Malawi and Central Africa Albert Chama counseled politicians against using hate speech as it only divided the nation and had the potential to hinder God’s blessings. Archbishop Chama said there was need for the nation to seek forgiveness as all have sinned by hating one another in some way. National House of Prayer and Advisory board chairperson Joshua Banda said the gathering demonstrated commitment towards unity. Bishop Banda said the Day of Prayer should be used as an occasion to put national interest first and reflect on issues of dialogue which required perfection. “We are gathered today for three things, first we are gathered to humble, repeat and seek the face of God, secondly to express thankfulness to God for the many things he has done for us and lastly to demonstrate our commitment to unity,” he said. In Kabwe, Central Province Minister Sydney Mushanga challenged Zambians to be pragmatic and use prayer to enhance peace and tranquility in the country, reports SYLVESTER MWALE and PASS HAACHIZO. Speaking at the Godfrey Chitalu Stadium, Mr Mushanga said the time had come for members of the public to be advanced in spirit by promoting togetherness. Mr Mushanga said Zambians should use the day to reflect on how God had allowed peace to prevail in the country for more than 50 years without any political instability as was the case in some nations. “I was very happy to see some men and women in uniform doing back summersaults today, you see these activities in some countries are meant for preparations for war, you will never see the defence and the security team to sing gospel music, all they know is preparing for war,” he said. His Permanent Secretary Chanda Kabwe called on Zambians to stand against elements that had the potential to divide the nation. 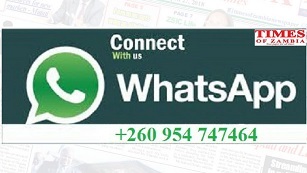 “Zambia will never be divided; we are one people regardless of our tribe, region, or political affiliation. We are all one; nothing is going to divide us and today, it’s an important day to ensure nothing separates us,” Mr Kabwe said. And KASONDE KASONDE reports that Health Minister Chitalu Chilufya said peace was a cornerstone of sustainable development and should be preserved by all means. Dr Chilufya said for the country to progress and achieve its developmental agenda peace had to prevail and embraced by all citizens. He also said the Government would continue to look to the church for guidance to enhance oneness.